After years of cooking for my family one of them recently mentioned that they really are not crazy about traditional Lasagna. Something about the noodles being too much. When he mentioned it most of the others chimed in with "I don't really care for it either". I had to chuckle that it took this long for them to tell me. ☺ But I was definitely glad for the heads up! They do enjoy Angel Hair Spaghetti. It's often not as dry as the thicker kind so that is usually what I prepare when we have pasta. I decided to layer this like Lasagna but it could also be mixed together like a regular casserole. It turned out delicious. And they all enjoyed it a lot! I prepared a double recipe because I was preparing it for some friends but the second pan could be frozen for later use. The pan sizes here are slightly smaller than a regular 9 X 13 but they ended up being really full. So a regular 9 X 13 might be a better choice. Brown the ground beef with the onion flakes and granulated garlic. Drain well. If you are using anything below a 90% burger a good way to drain it is to pour it into a colander and spray very hot water over it to drain off all the grease. Meanwhile cook the spaghetti and drain. Heat the Pizza Sauce and add the cream cheese in small pieces and stir until melted and mixture is smooth. Mix this and the burger together. To assemble, put about 1 cup of meat sauce each into the bottom of two non stick sprayed baking dishes. Cover this with a layer of angel hair pasta. Then sprinkle with cheeses and seasonings. Repeat layers until your ingredients are all. Bake covered with foil at 350° until heated through. Remove the foil when the casserole is bubbling to allow the cheese to brown a bit around the edges. Serve with a green salad (or applesauce) and bread sticks and everyone will love you. Wow, what a great idea! I've never seen this done with angel hair. Looks delish! Mmmm..I can almost smell that! And it looks pretty, too! Loved the browned cheese on top! This looks great! So delicious! I am definitely pinning...love dishes like this - ultimate comfort food! This looks so dang good! I love the idea of adding cream cheese. Enjoy your girl time! Martha I really love this look tempting!!! I LOVE angel hair pasta and only use it for spaghetti instead of the regular sized spaghetti and my family loves it that way. This recipe looks SO delish and I'm going to make it tonight. 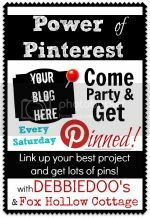 Just pinned it and came from DebbieDoos link party. I am already following you. You really make a lot of good stuff girl!! N.
It's funny that it took so long for them to tell you. Makes me wonder what my family fails to tell me! This looks like less hassle than laying all of those individual lasagna noodles--great idea! Thanks for linking up. MMM. I LOVE Lasagna, but HATE cooking the pasta for it. This just might be perfect.